Creating a niche of Compacting Dies such as Compacting Dies, Compacting Dies for Aluminum Conductors, Sector Shaped Compacting Dies and Powder Compacting Dies at its best, with utmost quality. We make compacting dies. 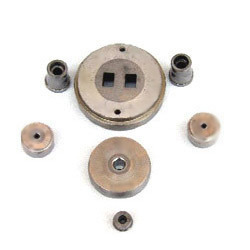 These dies are used in electrical cable manufacturing industry. The dies are used on tubular stranding machines. These compacting dies are made in carbide as well as in PCD. These compacting dies are used to reduce the eddy current in the bunched wires and hence is a very important process in the overall electrical cable manufacturing. Now a days , people are using PCD compacting dies as it has very long life as compared to carbide compacting dies. Apart from these dies used in electrical wires, we also make powder compacting dies. We at Regal Carbide Dies Pvt Ltd. are manufacturing Compacting dies in Tungsten Carbide for Sector Shape Conductors. These Sector Shaped Compacting Dies are used in Cable industries for compacting the strands of wires. Some times these strands of wires are Tin coated. 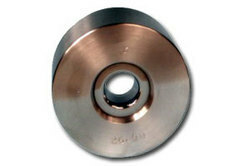 The surface finish of the Compacting die is very high so that there are no scratches on the compacted conductor. Also angle in the die has to be high so that the compacting can be done easily without much load on the die. Sector Shaped Compacting Dies angle in the die has to be high so that the compacting can be done easily without much load on the die. We make Compacting Dies Aluminum Conductors. These dies are made in tungsten carbide. 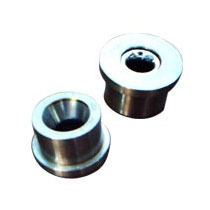 These dies are used in aluminum conductor industry, as well as in cable manufacturing. The combination of compact design and value adding features of Conductor are some of the key reasons that are raising their demand in the market. Compacting Dies Aluminum Conductors design and value adding features of Conductor are some of the key reasons that are raising their demand in the market. Backed with a support of highly qualified team we present Powder Compacting Dies to our wide client base. They are available in various diameters, sizes, shapes and width to perform specific operations. 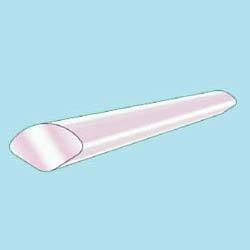 This product is used by various industries in their production. Additionally, we are acknowledged as one of the chief powder metal compacting dies suppliers from India. Powder Compacting Dies we are acknowledged as one of the chief powder metal compacting dies suppliers from India. Compacting Dies is widely used for compacting and bunching the wires.We process these Compacting Dies under supervision of our technical professionals using high grade raw material and latest technology. 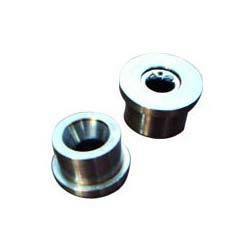 These dies are highly durable and light in weight. Compacting Dies These dies are highly durable and light in weight. Looking for Compacting Dies ?